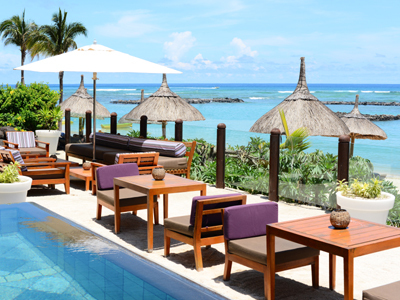 Veranda Pointe aux Biches is a lovely 4 star boutique-style hotel, situated in the northwest of Mauritius, near the lively coastal village of Grand Baie where a wide choice of restaurants, bars, shops and night clubs are to be found. The concept is *barefoot bliss* and on arrival, and only if you are up to it, you will be invited to take your shoes off, as sand is everywhere in the hotel - the tone is then set: forget everything, free your mind and spirit and relax! The property offers large family rooms (including annexed kids rooms), which can accommodate 2 adults and up to 3 teenagers, and the secluded Sandy Lane Adult-only wing. The Seven Colours Wellness Lounge provides a unique setting in Mauritius with spa cabins right on the beach and overlooking the lagoon. Transfer from the airport is approx. an hour and 30 minutes. The All Inclusive begins from the moment you arrive and ends when you depart from the hotel. Buffet breakfast. Lunch (buffet or table d’hôte). Dinner (buffet or table d’hôte). Afternoon tea/coffee & pancakes or snacks. Picnic box for lunch when going on excursion (12hr notice required). Soft drinks, juice, mineral water, local beers, selection of cocktails, local spirits and selected wine and house wine by the glass - all available at the bar from 11am-11pm. Mini bar includes soft drinks, local juices, water and local beer (replenished once daily). Tea/coffee facilities in room (replenished once a day). Selection of land and water sports as described in hotel's sheet (some activities may be at extra cost). 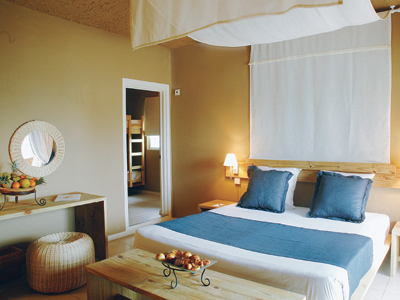 Each room features a separate shower and toilet with a furnished balcony or terrace. Our friendly Comfort Rooms are perfect for couples with an infant. 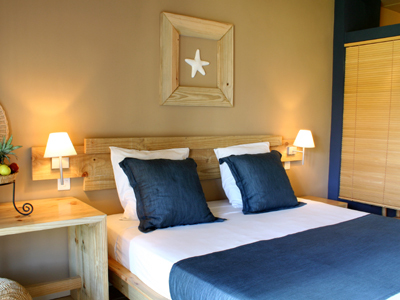 Furnished in an elegant cosy style the rooms are very pleasant and welcoming. Our spacious Family Rooms are ideal for families with children. 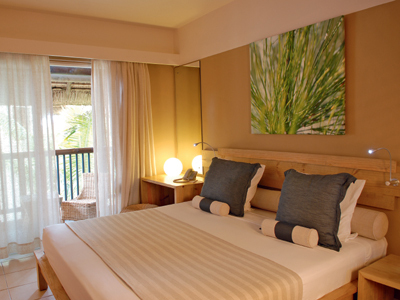 Each room features a separate shower and toilet and furnished balcony / terrace. A stylish and comfortable set of rooms delightfully decorated in wooden and contemporary decor with one king-size bed and bunk beds. Each room features a king-size bed with separate shower and toilet. These rooms are only for Adults. Located in the �Sandy Lane Village� the rooms are comfortable and decorated in a simple but elegant design. Overlooking the blue waters of the scenic sea, the Sandy Lane Grill Restaurant tempts you with a unique barefoot dining experience! Experience scrumptious dinners of mixed grill or seafood à la carte menu (with supplement). Offering Breakfast, Lunch and Dinner this is the main restaurant. It overlooks the azure waters of the sea and beautiful coral reef. 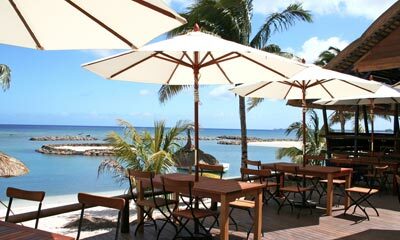 Guests may enjoy a buffet style meal and exotic Mauritian specialities. Vegetarian selection available. Tea is available from 4  5 pm. The bar is open from 11 am to midnight. 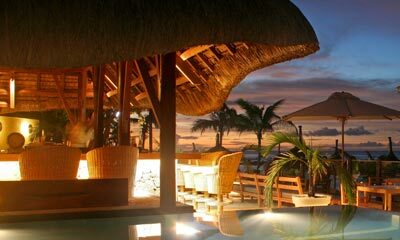 With delightful ambience, guests may partake of delicious tropical cocktails with your bare feet in the sand or on a deck. Live music on hand. Open from 11am to midnight, the zen ambience relaxes you as you sip your favourite cocktail. 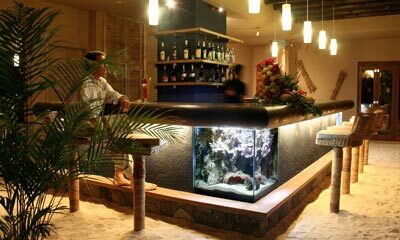 Guests can enjoy international, exotic and local drinks with the soothing sound of the ocean in the background. Tea is served between 4-5pm.